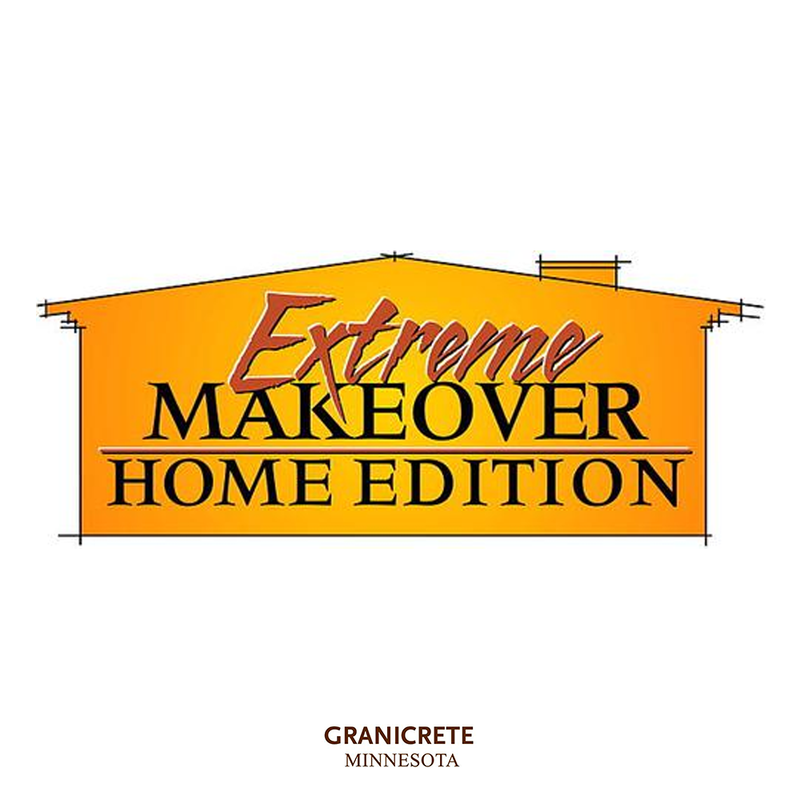 Granicrete Minnesota's innovative concrete overlay has been recognized by HGTV, the DIY Network, and more. Over the years, we've been proud to work with some of the biggest names in the remodeling and home improvment industry. Check out some of our work below! 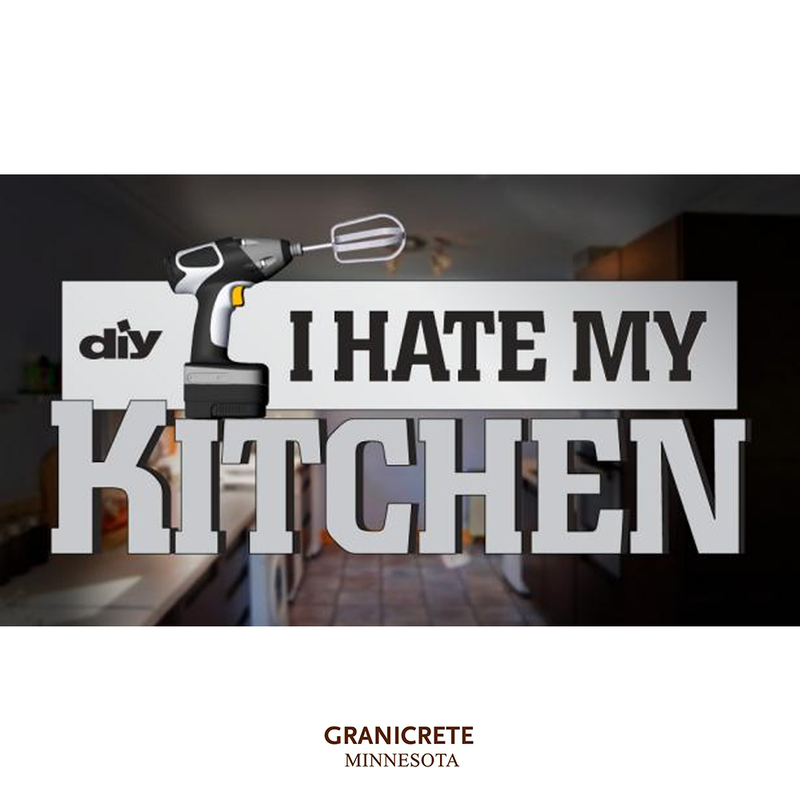 "I Hate My Kitchen" Our episodes of I Hate My Kitchen continue to air on the DIY Channel. We were contacted by the very creative Interior Designer, Kelli Kaufer, to participate in one show, because she was looking for unique and cost-effective surfaces to feature. After our first show with Host James Young, Kelli continued to use us for two more episodes. We created counters with James for "European Sophistication" and "Concrete Sensation" and even with the homeowners on "Loft In The Burbs!" We created a natural agate counter that was lit from below just for them! We enjoyed working with Magnetic Productions and their wonderful staff. "Extreme Makeover: Home Edition" The Extreme Makeover: Home Edition aired on 12-07-2008. The DeVries family, from rural Albert Lea, was selected for Episode 610 of the hit show. We were recruited by Larson Contracting, the builder, to provide a boys desk in the "Duct Tape Room" and counters in the kitchen and craft room. We built the tops off-site because of the time frame given to us. We were able to have 10 installers help us during the 2-4:00 A.M. time allowed to install all three tops. We were thrilled to provide our new products to the DeVries family! 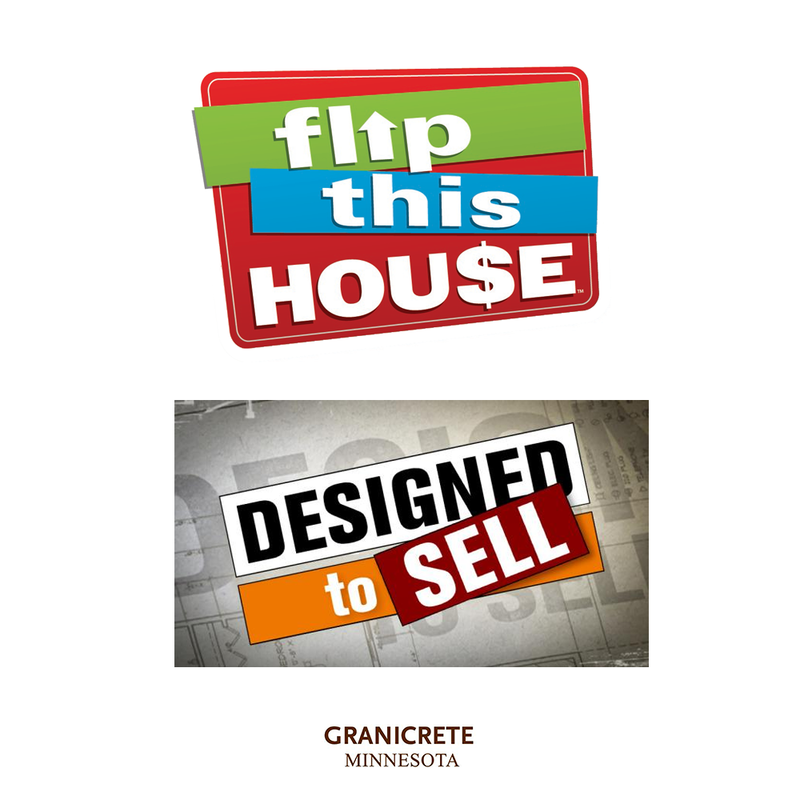 "Flip This House" & "Designed to Sell" Featured Shows by other Granicrete Distributers and Installers include "Flip This House" and "Designed To Sell." Check Granicrete.com for all the shows Granicrete has been featured on! "I Hate My Kitchen" filmed three episodes for DIY televison, Summer & Fall 2013, "Loft In The Burbs", "European Sophistication," and "Concrete Sensation"